While developed countries are better able to obtain necessary vaccines and other liquid medicines, distributing these necessities to remote, impoverished regions poses a challenge. The global sourcing capabilities of a select few overseas health care organizations are severely limited, resulting in widespread epidemics caused by diseases that could easily be cured. For the past few years, India - along with 140 other countries around the world - has heavily relied on the oral polio vaccine to keep the notorious virus at bay. The Hindu reported that the solution is cheaper than the injectable inactivated (IPV) option and is easily administered. However, the IPV method is much safer than the alternative, as it doesn't use live, weakened forms of the virus, thus eliminating the chance that it will turn virulent and compromise the health of patients. Though India is looking to switch to the injectable form, the procurement process of obtaining IPV necessitates stringent maintenance standards so that the treatment doesn't become tarnished. 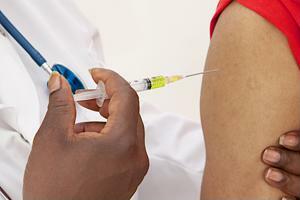 However, the Global Polio Eradication Initiative claimed that the vaccine can protect those receiving care from any one of the three strains that lie active in an environment. IPV testing conducted by virologists at the Christian Medical College at Vellore during the 1980s reported widespread success throughout the Mumbai slums. Due to the fact that a good portion of India's population lives in areas bereft of or severely lacking electricity, procurement management of liquid vaccines with dormant viruses remains a challenge. Containers storing the materials typically refrigerate them so that the biological products don't break down in warm temperatures. However, overcooling that can occur in particularly cold climates also poses a danger. According to News Medical, Bruce McCormick, president of thermal packaging designer SAVSU technologies, developed a solar ice-maker to cool high-performance packaging that safely delivers and stores climate-sensitive biopharmaceuticals. Using the renewable energy resource extends the amount of time distributors can take to transport materials, creating more flexible strategic sourcing as a result. "If you have a cooler that can keep the vaccine alive for 24 hours, that's how long you have to load, bring it to the village, community or health care center and administer," said McCormick, as quoted by the news source. Diseases have the potential to decimate populations as large and congested as those in China and India, as these countries possess limited access to medical supplies and some of their people live in adverse conditions.